ATCHISON, Kan. (AP) — After most of the world's population is wiped off the map by a wayward meteorite or hail of nuclear missiles, the survival of the human race might just depend on a few thousand people huddled in recreational vehicles deep in the bowels of an eastern Kansas mine. "I do believe I am on a mission and doing a spiritual thing," said Robert Vicino, who has purchased a large portion of the former U.S. Army storage facility on the southeast edge of Atchison, about 50 miles northwest of Kansas City, Mo. "We will certainly be part of the genesis." Jacque Pregont, president of the Atchison Chamber of Commerce, said some people think the shelter plan sounds creepy or that Vicino has "lost his mind," while others are excited because they will finally get a chance to tour the property. "It's quirky, and quirky gets attention," she said. Recent Hollywood movies have done big business exploring themes about threats to the human race, either through climate shifts, meteor impacts or zombie invasions. And the National Geographic Channel show, "Doomsday Preppers," documents the efforts of Americans who are preparing for the end of the world with elaborate shelters and plenty of freeze-dried rations. Paul Seyfried, who belongs to a group that promotes preparing for manmade or natural disasters, said Americans have become complacent ever since the death of John F. Kennedy, the last president who urged people to build fallout shelters. "There has been no war on our soil in over 100 years, so the horror of war is not stamped indelibly in Americans' minds," said Seyfried, a member of The American Civil Defense Association's advisory board. Ken Rose, a history professor at California State University-Chico, is an outspoken critic of underground shelters. 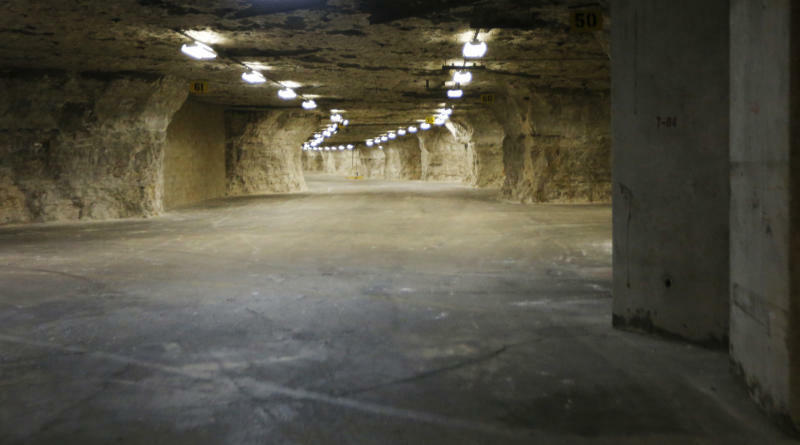 Though he acknowledged that interest in underground shelters is growing, he called projects like the Kansas facility a "colossal waste of time and money." "Some people are just obsessed by this idea," Rose said. "... Without minimizing the terror threat here today, the threats were much greater at the height of the Cold War. At least then anxiety was based on a realistic scenario." 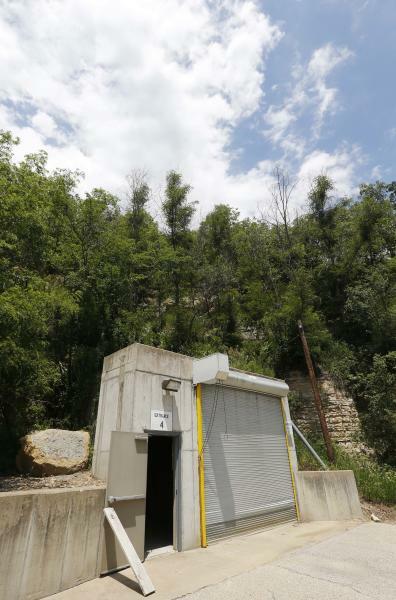 The Army used the caverns — created by limestone mining operations that started in the late 1880s — for decades as a storage facility before putting them up for auction last year. The winning bid in December was $1.7 million, but financing fell through and the site was put up for sale again. Springfield, Mo., investor Coby Cullins submitted his winning $510,000 bid for the property in early April, and he immediately started looking for ways to use it. One of his ideas was to lease the land to a company that builds survival bunkers. Vicino, whose company is based in Del Mar, Calif., said he received an email from Cullins and flew to Kansas two days later to check out the property. Vicino agreed to purchase 75 percent of the complex, rather than lease it, while Cullins retained the rest and is marketing it to local businesses. 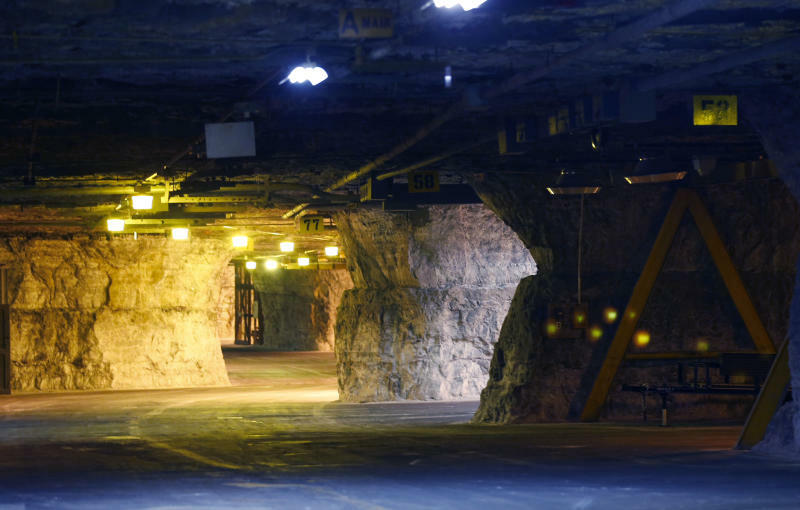 The complex consists of two fully lighted, temperature-controlled mines with concrete floors. The east cave, which Cullins owns, encompasses about 15 acres and contains offices, vaults, restrooms and other developed work spaces. The much larger west cave, which covers about 45 acres, is mostly undeveloped and will be converted into the Vivos facility. Actual sales won't begin until a "critical mass" of reservations are received and processed, Vicino said, which hasn't happened yet at the Kansas shelter. Vivos also owns a shelter in Indiana with room for 80 people to live comfortably for up to a year. There, members pay $50,000 per adult and $35,000 per child, so a family with two adults and two children would have to come up with $170,000 to be part of the post-apocalyptic generation. Purchasers will be required to pay for the full balance before taking possession of their shelter space, though the company has offered limited financing in the past with a sizable down payment. Vicino says he won't say specifically where the Indiana shelter or any of his smaller facilities are located because he fears there would be anarchy in the event of a world-changing catastrophe. And it doesn't matter who comes knocking at the "moment of truth," Vicino said, they're probably not getting in. "I've heard people say, 'I will just show up at the door,'" he said. "Our response is, 'great, where is the door?' At our secret shelters, you don't know where to go, and your cash will be worthless at that time."